Mold are organisms from the fungi family and are found indoors and outdoors. Mold will not grow unless moisture is present. Mold growth can cause structural and cosmetic damage to buildings, as well as creating an unhealthy environment. The key to addressing a mold problem is determining the underlying cause. If the source of the mold contamination or mildew is not identified and corrected, mold will return even after it has been treated. Chicagoland Mold Doctors (CMD) uses only EPA-registered biocides to treat mold and our employees are outfitted with personal protective equipment (gloves, goggles, respirators, disposable clothing). The benefit to the homeowner for using Chicagoland Mold Doctors (CMD) is knowing that they have contracted with a licensed and accredited company experienced in chicago mold remediation with a quick response time, and comprehensive mold solution strategies. 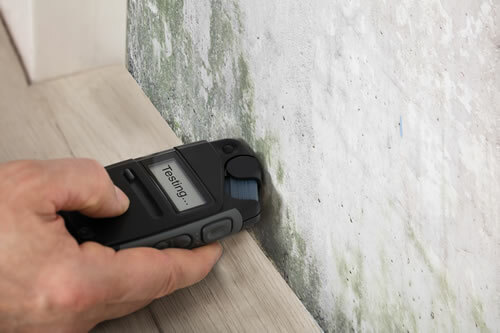 To ensure that the mold remediation process has been completed successfully, air sampling is available to measure quantitatively the mold spores in a given space. Chicagoland Mold Doctors (CMD) has several sources that they use or recommend. These consultants are board certified and registered utilizing local labs to facilitate quick results. Chicagoland Mold Doctors (CMD) offers extensive traditional home renovation and construction services while specializing in Mold Remediation, Renovations, and Insurance Restoration projects for Buyers, Homeowners, Financial Institutions, Asset Managers, and Investors.